"As already mentioned the ancient name of the State was Durgara, as found on two Chamba copper plate deeds, and of this name the terms Durgar and Dogra, in common use at the present time, are derivations. Till the discovery of the copper plates several other derivations were assigned for the origin of the name. One of these was Dugarta or Dvigarta, that is, "the tract between two rivers," viz., the Ravi and Chinab - in analogy with Trigarta or Kangra. By some the name was supposed to refer to the two sacred lakes of Saroin Sar and Man Sar, and the country around them. These derivations of the name must now be regarded purely fanciful. The name Durgara is probably a tribal designation, like Gurgara, the original of the modern "Gujar". The names Durgar and Dogra are now applied to the whole area in the outer hills between the Ravi and Chinab, but this use of the terms is probably of recent origin, and date only from the time when the tract came under the supremacy of Jammu. The chronology of Jammu is a blank down to the early part of the tenth century, when it is referred to under the name of Durgara. This reference establishes the fact that the State then existed and was ruled by its own chief, called the " lord of Durgara." At a considerably later date the references in the Rajatarangini to two Rajas of Babbapura, if accepted as applying to Jammu, enable us to fix approximately the subsequent reigns. We may assume that Vajradhara, who was in power in A.D. 1114-18, succeeded about A.D. 1110, and the earliest authentic date after this is that of Raja Parasram Dev (A.D. 1589). Between these dates twenty Rajas ruled the State, giving an average reign of about twenty-five years. There may have been omissions of names in copying the Vansavali which would reduce this average, indeed one such name is found in the Akbarnamah. Again, from A.D. 1589 to A.D. 1812 there were twelve reigns, giving an average of nearly twenty years. These averages are in keeping with those of many other hill States. As in other parts of the hills, Jammu State was probably preceded by a long period of government by petty chiefs, called Ranas and Thakurs. The traditions relating to this Thakurain period, as it is called, are less definite to the west than to the east of the Ravi, but in the historical records of most of the States in the Jammu area there are fairly clear evidences of such a political condition. These traditions, however, are least definite in the oldest States, having probably passed into oblivion through lapse of time. The foundation of some of the States is distinctly associated with the conquest of one or more of these petty barons. There are no references to the Ranas in the Jammu Vansavali, and it is unusual to find such references in the case of very ancient States, but in the folklore of the people traditions of the ancient polity are common.We may therefore assume that for many centuries after Jammu State was founded the outlying portions, which at a later period became separate and independent States, were under the rule of Ranas and Thakurs, possibly with a loose allegiance to Durgara. The Dogra royal line trace their descent from Kus, the second son of Rama, and came originally, it is said, from Ayodhya. Like Chamba and many other royal families of the hills, they belong to the Surajbansi race and the clan name is Jamwal. Probably there was an older designation which has been forgotten. The Manhas Rajputs, a large agricultural tribe found along the foot of the outer hills between the Ravi and the Jehlam, claim to be descended from the same ancestor as the Jammu royal clan. The tradition among them is that from an early period some of the younger members of the royal clan took to agriculture, and as following the plough is opposed to Rajput sentiment, they thereby became degraded, and are looked down upon by those who adhere to ancient custom. Most of the Manhas, it is said, can trace their descent from chief of the various States under different offshoots of the 'Jamwal royal clan. It is improbable that Jamwal was the original name of the tribe as suggested by Ibbetson. The name can date only from the time when Jammu became the capital and it is applied only to the royal clan and its offshoots. The early history of the State is lost in the mists of the past and even common tradition is silent. The first Raja, named Agnibaran, is said to have been a brother or kinsman of the Raja of Ayudhya. 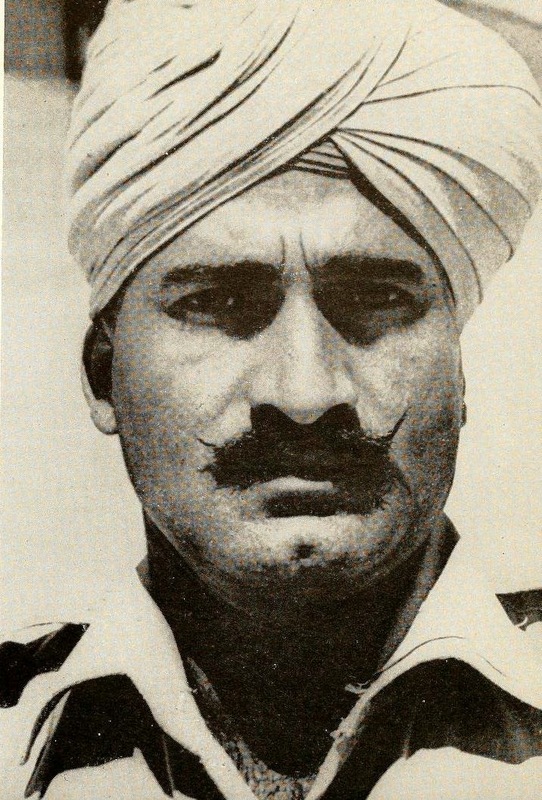 He came up into the Punjab by way of Nagarkot (Kangra), and after crossing the Ravi settled at Parol near Kathua, opposite to Madhopur in the Gurdaspur District. According to the records this, if authentic, must have been at a very early period. His son, Vayusrava, added to his territory the country of the outer hills as far west as the Jammu Tawi. Four other Rajas followed in succession and the fifth was Agnigarbh, who had eighteen sons, of whom the two oldest were Bahu-lochan and Jambu-lochan. Bahu-lochan succeeded his father and founded the town and fort of Bahu, on the left bank of the Tawi, opposite Jammu, and made it his capital. In seeking to extend his territories towards the plains he fell in battle with Chandarhas, then Raja of the Punjab (Madhyadesa) whose capital was probably at Sialkot. The reference is interesting and probably historical. The war with Chandarhas doubtless was the outcome of an attempt on the part of the hill chief to enlarge the State boundaries towards the plains. Tradition affirms that in former times the territory extended much farther to the south than now, and the Raja of Sialkot would naturally oppose such encroachments on his borders. Sialkot has been identified with the ancient Sakala, the Sagala of Buddhist literature, which is thus proved to be one of the oldest cities in the Punjab. In very ancient times it was the capital of the Madras who are known in the later Vedic period, and Sakaladvipa or " the island of Sakala " was the ancient name of the doab between the rivers Chandrabhaga (Chenab) and Iravati (Ravi). In somewhat later times (c. B.C. 200) Sakala was the capital of the later Graeco-Indian kings of the house of Euthymedus, who ruled the Eastern Punjab, and it was the residence of Alenander who has been identified with king Melinda, who is known from the Buddist treatise called "The Questions of Melinda." His date was about B.C. 150. At a still later period Sakala was the capital of Salavahana, whose son, Rasalu, is the great hero of all Punjab tradition, and after the invasion of the Hunas (Huns) in the latter part of the fifth century A.D. it became the capital of Toramana and his son Mihirakula, who ruled over the Punjab and also probably over Kashmir. 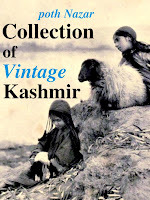 As Jammu is only thirty miles from Sialkot, and the boundary even at the present time is within seven miles of the latter place, it is evident that frequent disputes must have arisen in former times, similar to that referred to in the Vansavali. The spot on which the tank was found is now called Purani Mandl,'- a locality in Jammu town, where the Rajas on their accession receive the rajtilak, or mark of investiture at the time of installation. The Purani Mandi marks the spot where the palace originally stood, and the Rajas resided for centuries. It is near the small temple of Raghunath (Rama) called " Maharani ka Mandir," founded by the Bandhrali Rani of Maharaja Ranbir Singh. A great number of people are daily fed there, and receive each one pice in cash in name of the rani. The present Purani Mandi buildings are said to have been erected by Raja Mal Dev, probably in the fourteenth century. The present palace is modern and was erected by Maharaja Gulab Singh. Jammu has no ancient buildings or remains, nor anything to indicate that it is a place of great antiquity. The temples, which are generally a sure evidence of age, are all modern. The place has a large population, but its prosperity is of recent date. 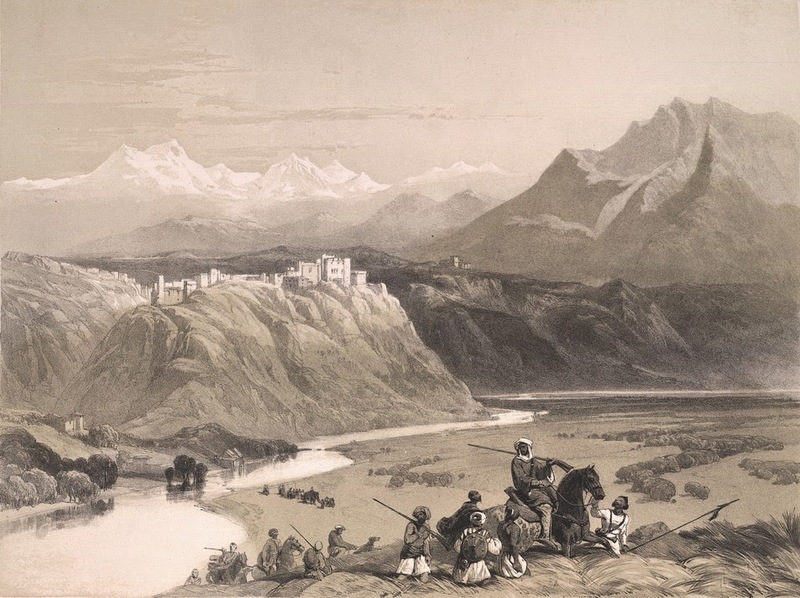 The earliest historical mention of Jammu is in connection with Timur's invasion in A.D. 1398-9. 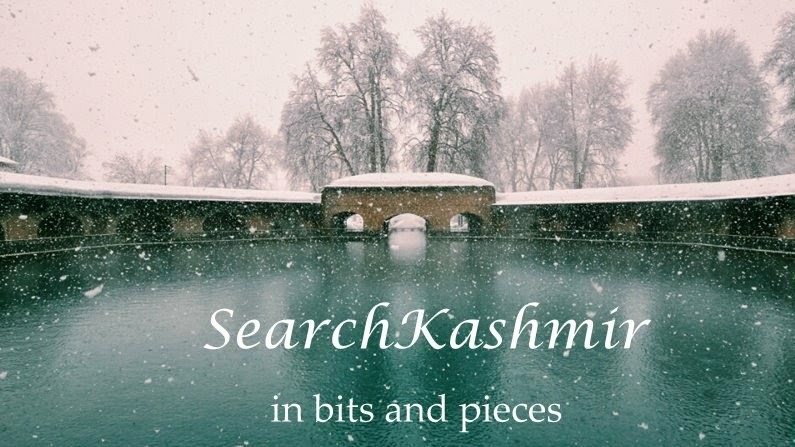 In the Tarikh-i-Kashmlr-i-Azami (A.D. 1417) a Raja of Jammu is referred to and the town is spoken of as then about five hundred years old. We may therefore conclude that it was founded about A.D. 900. 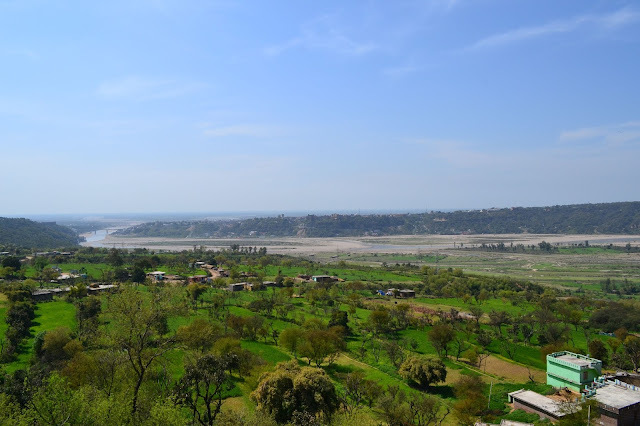 It is quite possible, however, that Jammu may date from an earlier period, as the legend says; though it may not have been a place of any importance and did not become the capital till a later time." Gulab Singh's fort [by the side of Chinab?]. 1847. By James Duffield Harding during 1846 visit to the Kingdom by Charles Stewart Hardinge, the eldest son of the first Viscount Henry Hardinge, the Governor General of India. Map of Jammu City. Company Period Punjab. 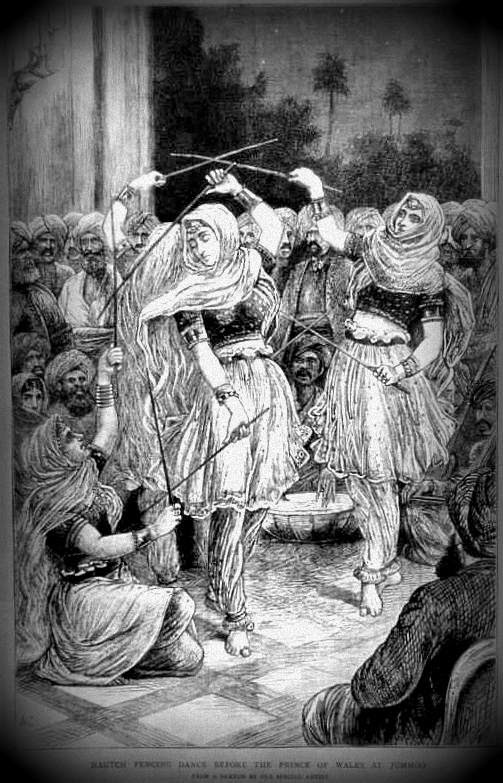 1880-90 A.D.
“Nautch fencing dance before the Prince of Wales at Jummoo”,1876.